“The 1st International Traditional Wushu Championships 2013” is organized by Hong Kong Wushu Union and subvented by Home Affairs Bureau and Leisure and Cultural Services Department of Hong Kong Government. Hong Kong Wushu Union was founded in 1987 who is a member of the International Wushu Federation (IWUF), Wushu Federation of Asia (WFA) and Sports Federation & Olympic Committee of Hong Kong, China (SF&OC). Adrian and Sarfield represent IWCO to take part the Chum Kiu Taolu competition on the 17th May event. They have been awarded the highest score among their team and won the Gold medal. Kaliningrad Wing Chun Championship 2013 held May 18, 2013, as part of the open Wushu tournament "Baltic Dragon". 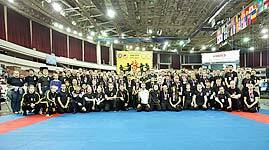 "Kaliningrad Wing Chun Championship 2013" was organized by International Wing Chun Organization. IWCO congratulates all the winners and participants! 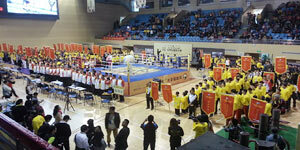 The competition was held by Chi Sao discipline. Video contest will be uploaded later. IWCO-Ukraine schools from cities: Zaporozhye, Donetsk, Dnipropetrovsk, Poltava took part in competitions.